Summer has come to an end. Boats are stored back unsalted in the garage/shipyard/laboratorium and ready to be worked on. We are wondering what your creative minds will come up in 2019. Will some of you set a new record? Will we see foiling boats in the super small town canals? Will we meet a lot of new enthusiastic teams wanting to share knowledge and build a greener world? Solar power is booming and the world is waiting for you! Let’s not get ahead of ourselves. We still need to bring 2018 to a closing. The mathematics were not too hard and we’re sure you worked out who won your division. That does not mean we shouldn’t honor our winners in style. 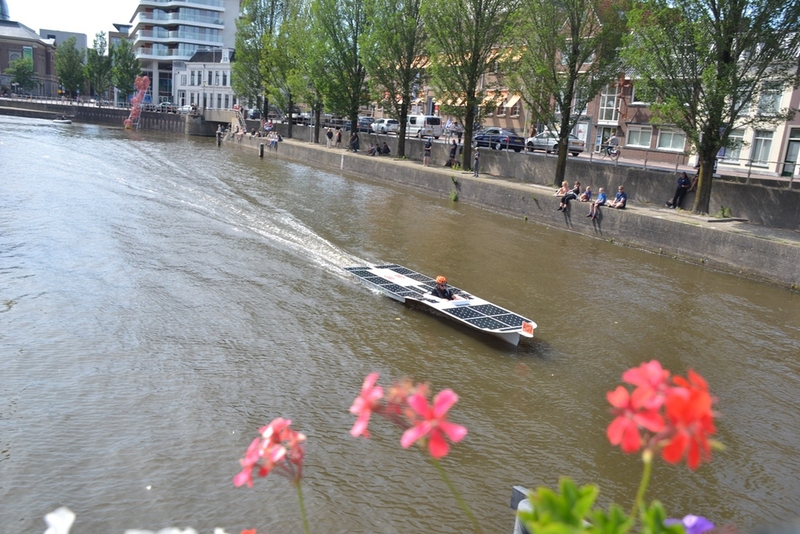 We would like to do so with you and the whole solar boat fleet in Leeuwarden on the 31st of October from 18:00 hrs onwards. The ceremony will start at 19:00 hrs at the NHL Stenden Hogeschool (former NHL building). Yes, there will be food and drinks. Please reply by sending an email to hello@solarsportone.org before the 15th of October, so we can prepare the evening and send you all the details. Bring a friend or another solar yachtsman/woman. We hope to see you all the end of this month. Surely you’ll hear all about the upcoming season and the *new* ‘Solar Stages – winter edition’. We are happy to announce the upcoming race dates fitted with other organizations for the World Championships 2019. Block them in your agenda and plan your boat work well so we can see you full throttle and flat out on the water.